To see what effect an increase in meat consumption might have on disease rates, researchers studied lapsed vegetarians. People who once ate vegetarian diets but then started to eat meat at least once a week were reported to have experienced a 146 percent increase in odds of heart disease, a 152 percent increase in stroke, a 166 percent increase in diabetes, and a 231 percent increase in odds for weight gain. During the 12 years after the transition from vegetarian to omnivore, meat-eating was associated with a 3.6 year decrease in life expectancy. Results published in 2012 from two major Harvard University studies—the Nurses’ Health Study, which followed the diets of about 120,000 30- to 55-year-old women starting in 1976, and the Health Professionals Follow-Up Study, which followed about 50,000 men aged 40 to 75—found that the consumption of both processed and unprocessed red meat appeared to be associated with an increased risk of dying from cancer and heart disease, as well as shortened life spans overall—a conclusion reached even after controlling for age, weight, alcohol consumption, exercise, smoking, family history, caloric intake, and even the intake of whole plant foods, such as whole grains, fruits, and vegetables. The findings suggest there may be something harmful in the meat itself. The largest study of diet and health was co-sponsored by the National Institutes of Health and the American Association of Retired Persons. Over a decade, researchers followed about 545,000 men and women aged 50 to 71 and came to the same conclusion as the Harvard researchers: Meat consumption was associated with increased risk of dying from cancer, dying from heart disease, and dying prematurely in general. Again, this was after controlling for other diet and lifestyle factors. 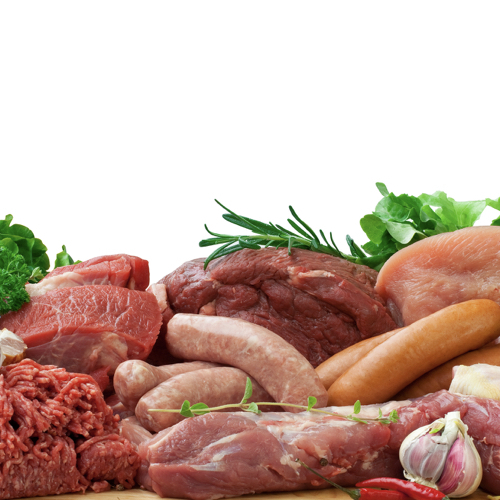 Alzheimer’s disease risk may also be affected by meat consumption. In Japan, the prevalence of Alzheimer’s has shot up over the past few decades, thought to be due to the shift from a traditional rice-and-vegetable-based diet to one featuring triple the dairy and six times the meat. The lowest validated rates of Alzheimer’s disease in the world are found in rural India, where people tend to eat plant-based diets centered on grains and vegetables. In the United States, those who don’t eat meat (including poultry and fish) appear to cut their risk of developing dementia in half, and the longer meat is avoided, the lower dementia risk appears to fall. Image Credit: masaltof / Thinkstock. This image has been modified.